Defending champions Harbour View will enter the Christmas break with a four-point lead after a 1-1 away draw against Cavalier on Match Day 14 of the Red Stripe Premier League yesterday. The match was played at the Stadium East field. CHAMPIONS Harbour View were held to a 1-1 draw by Cavalier and saw their lead atop of the Red Stripe Premier League reduced to four points. James Durrant had given Harbour View a 22nd-minute lead, firing home from a McKaulley Tulloch cutback, but five minutes later Girvan Brown picked Clifton Waugh’s pocket and slotted home to level the scores. 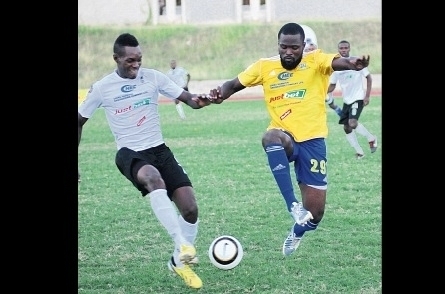 The festive season is upon us but no club will be giving anything away as a full slate of matches is on today in the Red Stripe Premier League (RSPL). The well-oiled Harbour View machine will be on display once again when they travel to Stadium East to play Cavalier. HVFC and the Premier League Clubs Association (PLCA) invited and had 4 FIFA agents and scouts from Italy, Europe and the USA Academy here for the the Jamaica Football Showcase in December 14-20th, 2014. After the new Premier League format threw two surprise away games at the start, the balance had to be restored at some time and it happened in December at the end of Round 1 and the start of Round 2, when we had three Home Games in a row. In October, Express Fitness Gym came onboard to give away T-Shirts, game day tickets, free gym classes and memberships. HARBOUR View’s surge to the top of the Red Stripe Premier League coincides nicely with Brian Brown’s rise to the top of the goalscoring chart. CONTRARY to popular belief, there will be no prize money for the Red Stripe Premier League first and second round winners. Instead, that accumulated $1 million will be paid to the team that emerged with the most points after three rounds. The popular End of Round finals have been scrapped by the organisers and Andrew Price, general manager of the Premier League Clubs Association (PLCA) on Sunday, told the Jamaica Observer why. “The PLCA board and directors agreed that to reward the team that accumulates the most points after the three preliminary rounds we would present that team with $1 million for being the rounds champion,” he pointed out. “Basically what we are looking at is utilising the funding that would have been given before the End of Round finals and pool that money together to give the team that have secured the most points as the champion of the rounds,” Price noted. Harbour View ended the first round as champions recovering from a poor start in which they had one point from three games to emerge on top with 23 points, inclusive of winning seven of their last eight games. Both Montego Bay United and Harbour View started the day on 20 points heading into the final fixture of the first round and while a late goal denied Montego Bay three points, Harbour View benefited from basically the last kick of the match to defeat Tivoli Gardens 1-0 at Compound. Tivoli’s Dwayne Smith saw his well-taken free kick rebound off the upright and the ensuing counter-attack saw Brian Brown ramming home a beautiful left footer in the 90+3 minutes to steal a dramatic victory for Harbour View. It was Brown’s seventh goal of the season, which puts him atop of the goalscoring chart ahead of Jermaine Anderson on six. Harbour View winning coach Harold Thomas said it was a rewarding victory for the work they put in the first round. “We started poorly but we worked hard and we always knew that hard work would pay off. It’s still a long way to go, especially with the new format, but what we will try and do is consolidate and continue to improve,” he noted. 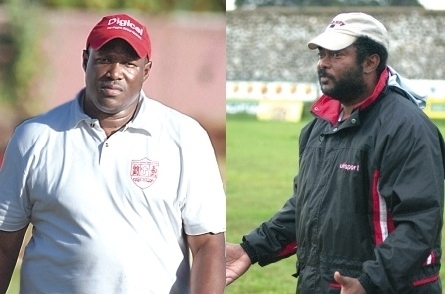 Tivoli Gardens head coach Glendon ‘Admiral’ Bailey was livid after he instructed his team to play it safe and settle for a point with time running out. “I think we played a good tactical disciplined game, but we had a breakdown in added time,” noted Bailey. Tivoli Gardens, with three wins, six draws and two defeats, ended the round in fifth spot on 15 points. Harbour View — Devon Haughton, Xavean Virgo, Clifton Waugh, Dicoy Williams, Kemar Lawrence, Damarley Oliver, Keith Kelly (Ranique Muir 63rd), Joel Senior, John-Ross Edwards, McKaully Tulloch (Donovan Edwards 78th), Brian Brown. Subs not used: Michaud Barrett, Kevaughn Frater, James Durrant, Shaun Dewar, Dejanni Isaacs. Booked: Oliver (42nd), Edwards (55th), (90+3). Tivoli Gardens — Edsel Scott, Christopher Jackson, Kasai Hinds, Ranike Anderson, Kemar Flemmings, Andre Morgan (Dawyne Smith 81st), Rohan Reid, Jameel Thompson, Andre McFarlene, Rafeik Thomas (Akeem Brown 80th), Navion Boyd. Subs not used: Deron Duncan, Shawn McKoy, Shavar Campbell, Richard Allison, Robert Williams. JOINT leaders Montego Bay United and Harbour View are the only teams in the running to secure the Red Stripe Premier League First End-of-Round trophy and a whopping $400,000. The team with the most points after the first set of 11 games will be deemed First End-of-Round champion, and currently Montego Bay United and Harbour View are locked on 20 points after 10 games. The Donovan Duckie-coached Montego Bay United are on top by a one-goal difference and will have the easier task when they host 10th-placed August Town on 10 points at the Wespow Park starting at 3:00 pm. Boasting a strong squad with the deadly strike force of Dino Williams, Allan Ottey along with Lesly St Fleur, Montego Bay United are heavily favoured to get the better of August Town who have lost their last four games. Champions Harbour View are flying high, winning six of their last seven games, but will have the more difficult task against fifth-placed Tivoli Gardens at Compound. The Stars of the East also have a deadly young strike force in Bryan Brown, the leading goalscorer with six goals, and the bustling MacKauley Tulloch. They also welcomed back Jeremy Lynch, who is expected to get some action. Tivoli Gardens looked flat last week against Sporting Central Academy, but should be more motivated for this clash and will make it a difficult day for the champions. Meanwhile, former champion Portmore United will be aiming to end the first round on a winning note after a disastrous start to the season, in which they have won just once from 10 matches, to be firmly at the bottom with six points. However, their task will not be an easy one as they are up against title favourites Waterhouse, currently in third place with 16 points. Fourth-placed Humble Lion on 15 points travel to Spanish Town Prison Oval to tackle a Rivoli United outfit in eighth spot on 12 points. Humble Lion have not tasted victory in their last five games, while Rivoli have not won in their last three, and so the stage is set for one of them to break the drought and secure three valuable points. At the Juici Patties Park, sixth-placed Boys’ Town, unbeaten in their last four games, take on a Sporting Central Academy team just a point behind and looking to leapfrog them and end the round on a positive one. The competition continues tomorrow with fourth-placed Cavalier on 16 points up against 11th-placed Arnett Gardens on nine points at the Anthony Spaulding Sports Complex scheduled for a 7:00 pm start. 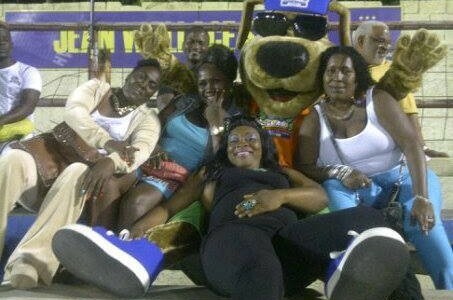 7:00 pm Portmore United vs Waterhouse FC @ Ferdie Neita Park.